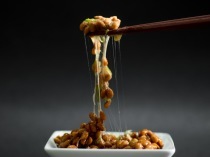 Natto, a rich source of vitamin K2, promotes bone formation in premenopausal women. 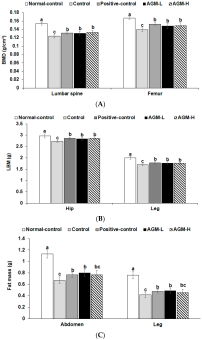 Promotion of bone formation by fermented soybean (Natto) intake in premenopausal women. A therapeutic agent of vitamin K2 is approved for the treatment of osteoporosis in Japan. However, little is known about the efficacy of dietary intake of vitamin K2 for bone health. 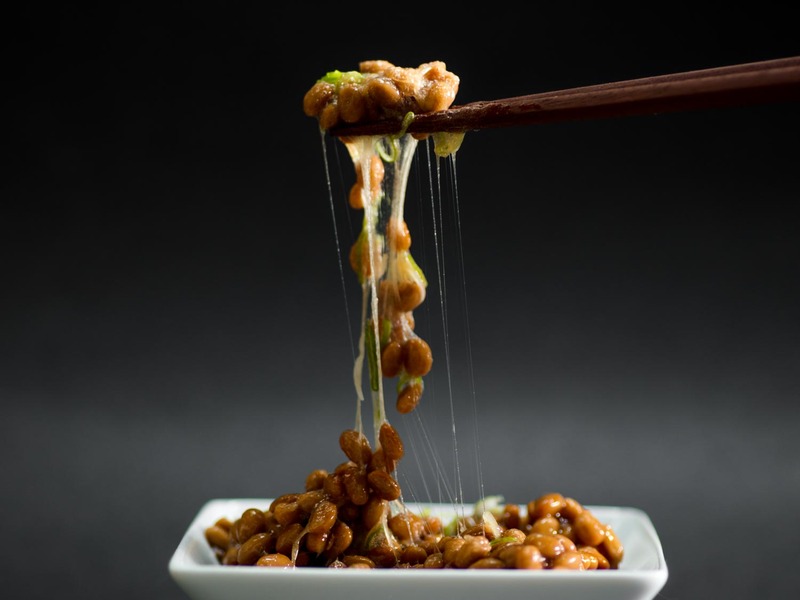 We compared the effects of various levels of fermented soybeans (Natto) intake, which contains plenty of vitamin K2, on bone stiffness and bone turnover markers in healthy premenopausal women. Seventy-three healthy premenopausal women were randomly divided into four groups matched for age and parity categories. Natto was supplied as follows: Group 1 (no intake), Group 2 (once per month), Group 3 (once per week) and Group 4 (three times per week). Subjects took Natto at a lunch for 1 y, and the stiffness index by quantitative ultrasound and bone turnover markers were assessed at baseline, 6 mo and 1 y. There was no statistical difference in the stiffness index during the 1 y observation. However, bone specific alkaline phosphatase (BAP) in Group 4 was higher than that in Group 3 at 1 y and undercarboxylated osteocalcin (Glu) in Group 4 was significantly lower than those in Groups 1, 2 and 3 at 6 mo. Logistic regression analysis showed that the risk of reduction of bone formation markers declined to 0.07 in Group 4 based on that in Group 1. In premenopausal women who had to keep the stiffness index as high as possible before menopause, Natto intake may have contributed to the promotion of bone formation. Nattokinase supplementation is an effective way to manage the progression of atherosclerosis and potentially may be a better alternative to statins. Combination of Aronia, Red Ginseng, Shiitake Mushroom and Nattokinase Potentiated Insulin Secretion and Reduced Insulin Resistance with Improving Gut Microbiome Dysbiosis in Insulin Deficient Type 2 Diabetic Rats. There are 12581 on Natto. There are 126 on Nattokinase. The Antithrombotic and Fibrinolytic Effect of Natto in Hypercholesterolemia Rats.